No need for a full size graphic print. 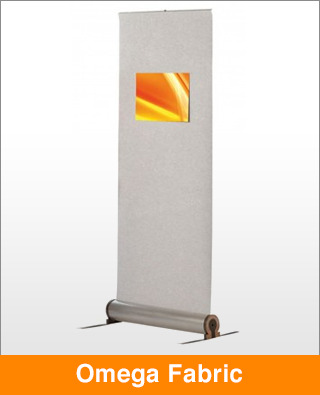 This unique roller bannerstand is supplied with a Velcro® receptive panel as standard. The fabric panel allows notices, artwork or any semi permanent display to be changed easily and quickly.